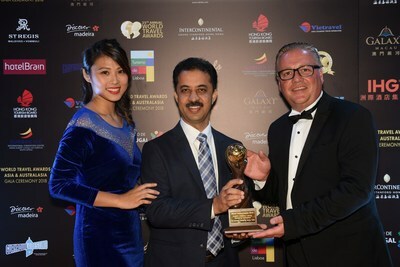 The Ultimate Travelling Camp (TUTC) has once again being named 'Asia's Leading Luxury Camping Company' at the 25th Annual World Travel Awards, presented at a glittering ceremony in Hong Kong. TUTC, which has a host of accolades, retained this title for a third year running at the World Travel Awards, believed to be the ultimate accolade in the travel industry. Speaking on the achievement, Ms. Dhun Cordo, co-founder, TUTC, said, "World Travel Awards, which is celebrating its 25th year, has recognised many leaders from the travel and hospitality industry over the years. We are truly honoured to be recognised at this prestigious platform time and again, and to be voted by our guests and industry peers. This past year has been very rewarding with The Ultimate Travelling Camp's group of properties spreading its glamping roots to other spectacular locations across India." She added, "We also forayed into semi-permanent accommodation and expanded our luxury portfolio with the launch of a rebranded luxury lodge experience in Dudhwa, Uttar Pradesh. We are very happy that our endeavour to create a segment for niche luxury travellers has been gaining constant recognition from the discerning travellers and industry experts." The World Travel Awards is considered by many as the 'Oscars of the Travel Industry' that celebrates excellence in global tourism. The ceremonies are widely regarded as the best networking opportunities within the travel and tourism industry, attended by the who's who of the travel industry.